Genty Akylone supercar unveiled - Increasing number of sports cars lovers make a lot of popping up model of sport utility vehicle manufacturers. The emergence of the French sports car developed by Genty Automobile is one of them. 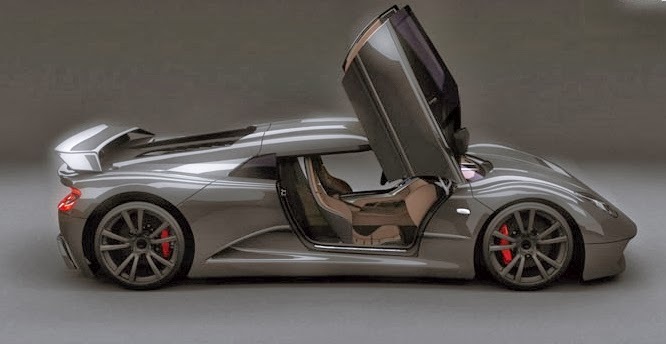 This supercar named “Akylone” using Supercharging 2 turbo are capable of producing over 1,200 hp. Sport utility vehicles with a weight of only 1102 kg, with a power of 1,200 hp, this car will work like a tractor because it has a very terrible power. Akylone been shown by Genty Automobile at the event "Top Marques" with a futuristic design sports, the chassis parts are made of carbon fiber with an aluminum mixture. Technology aerodynamic efficiency and flexibility of the frame to be the benchmark in the making of this car, Akylone uses scissor doors that look more charming. Akylone using 6-liter V8 engine twin-turbocharged engine capable of producing up to 1,200 HP (894 kW) at 7300 rev / min, torque of 861 ft-lg using a 7-speed sequential gearbox, with a maximum speed of 350 km / hour. Acceleration from 0-100 Akylone in just 2.7detik, 0-200 in 7.2 seconds, and from 0-300 in just 14 seconds. Genty Automobile with Akylone vehicle will hold a roadshow in the United States, Russia, Qatar, and China in order to find investors to fund production and development Akylone car. Genty Automobile will issue a coupe version only 15 units and only 10 units of a roadster version. Akylone will make competition in making a "fast car" will be intense. 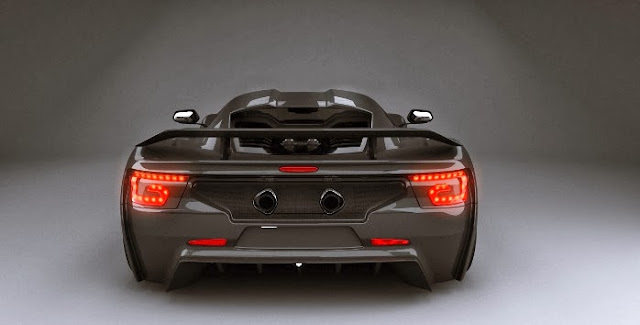 In addition, Akylone would disturbing the marketing of the car; Porsche, Ferrari, McLaren and Lamborghini. "Article : Akylone supercar with tremendous horsepower unveiled"